It’s always been years. Three years between Star Wars movies. Sixteen years between trilogies. Then it shrank—it took 10 years to get The Force Awakens after Revenge of the Sith, and since then Star Wars movies have been a mere year apart. But now, for the first—and probably last—time ever, we’ll have two new Star Wars films in only six months. The Last Jedi opens today (obviously) and while fans will have to wait two years to see how the story concludes, the next Star Wars film will be here sooner than ever. Solo: A Star Wars Story is scheduled to open May 25, 2018, just over five months from now. That’s almost unfathomable for a fan base used to waiting for movies that always seem far, far away. I probably don’t have to explain the excitement. But does the wait make it special? It’s a question I’ve been thinking about even before The Force Awakens was released in 2015, but having now waited a mere year post-Rogue One for The Last Jedi, 12 months feels like a very manageable amount of time. There’s an opportunity to digest and enjoy the film at hand. There’s still plenty of room to get excited for what’s next. Five months, though? That’s crazy. Things are so compressed. It’s crazier still when you realize as of today, we have yet to see a single official image from Solo. The only poster released is a simple logo. With The Last Jedi, fans saw the first footage nine months out—giving them a good amount of time to process, speculate, and enjoy the ride up until release. Now, that whole experience is being split in half. Soon—presumably—we’ll get a trailer, then a poster and some photos. 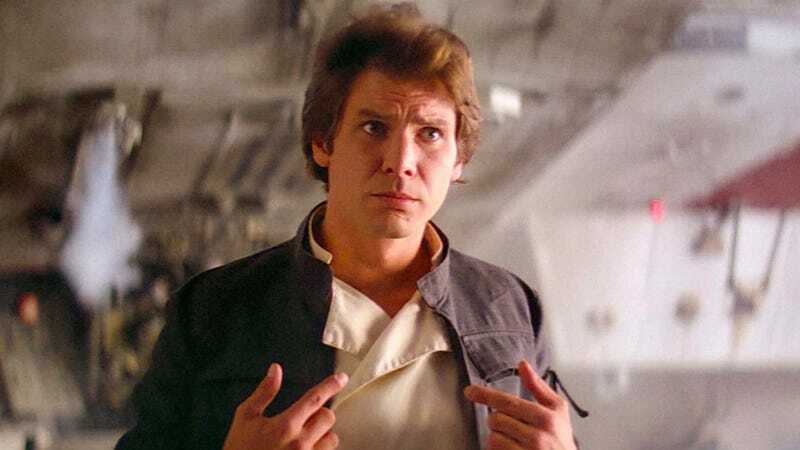 Then TV spots and interviews and before you know it, we’ll be sitting in a theater learning what Han Solo was like before A New Hope. It’s going to happen sooner than you think. And along the way, we’ll have Black Panther, Pacific Rim, an Infinity War—lots of things to keep us occupied. It’s impossible to predict if the shorter wait will dampen fan excitement at for Solo. My guess is probably not. But it’s simply too unique a circumstance, possibly a once in a lifetime circumstance, to not at least step back and examine at it. We just got a new Star Wars movie and another is coming in mere months. It’s almost unbelievable.